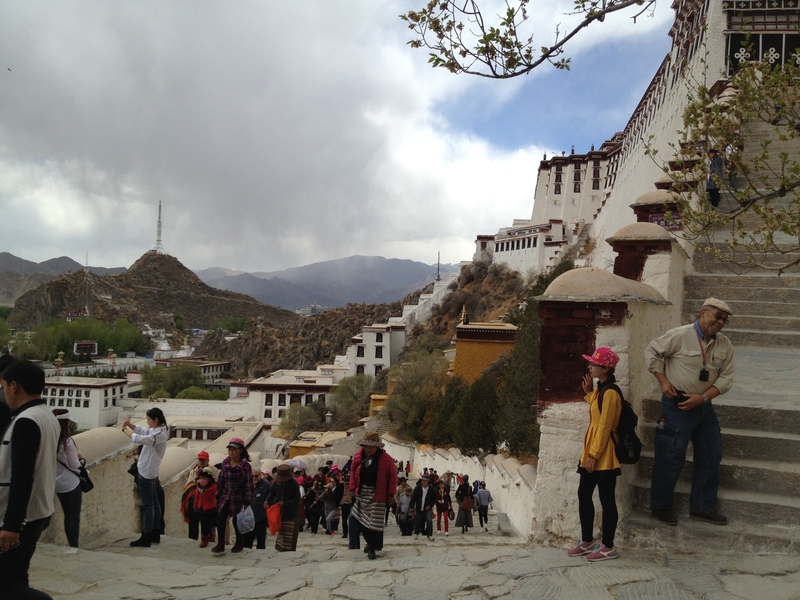 Today we completed the greatest challenge of the trip: the climb to the top of the Potala Palace. You could certainly say this was the high point of our trip, in more ways than one. 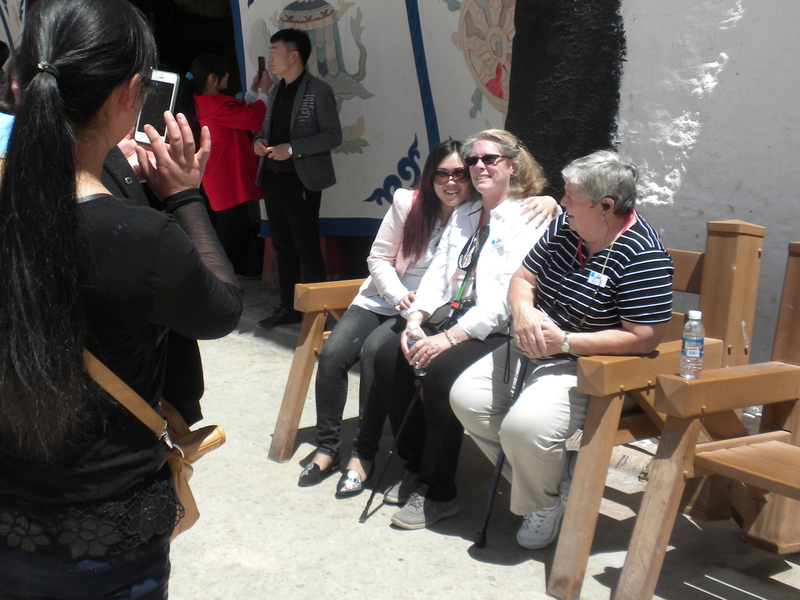 Before the climb, however, we visited the Tibetan Museum. 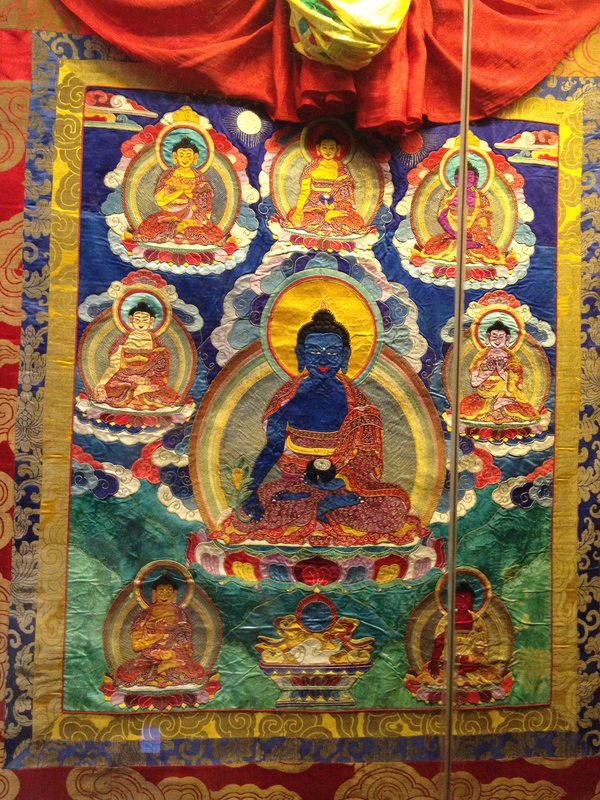 The museum has an extensive collection of artifacts, including traditional Tibetan clothing, jade carvings, Buddhas, and thangkas, a traditional painting usually done on cloth. 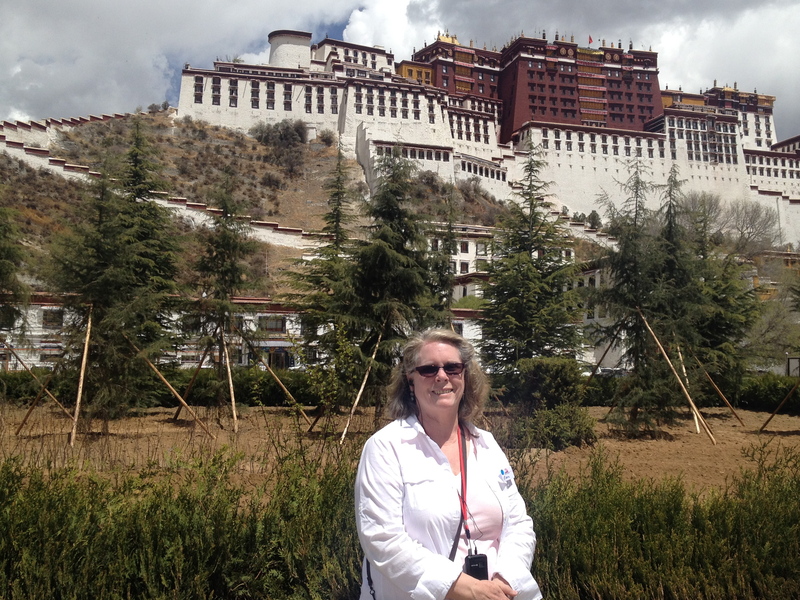 Then it was time to climb the Potala Palace. It’s a 380-foot ascent, which would be hard enough at sea level. When you’re starting at more than 12,000 feet, it’s pretty challenging. We took our time and made frequent rest stops. Everyone in our group who started the ascent made it to the top. There are several sections of stone terraces, combining steps and ramps. Then when you teach the “top,” there is still a seven-story building to climb. 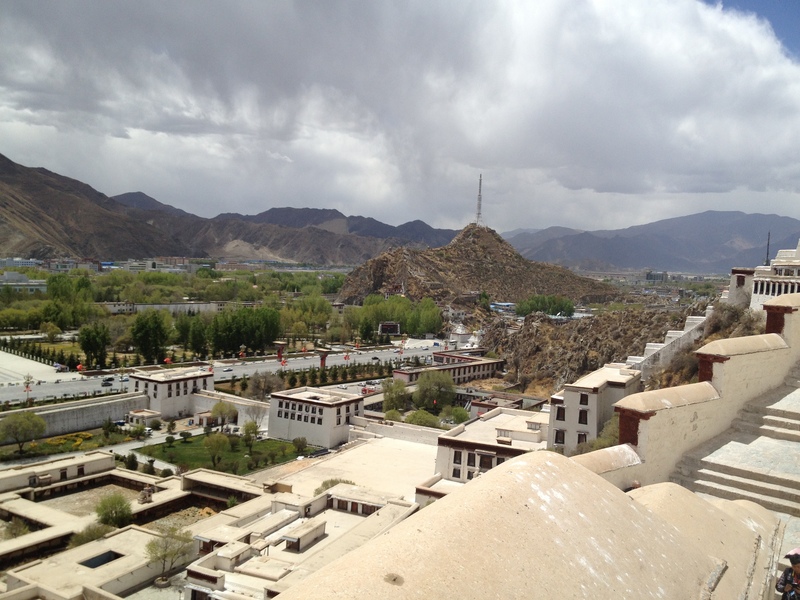 The palace, built in the 7th century, dominates the skyline of Lhasa. 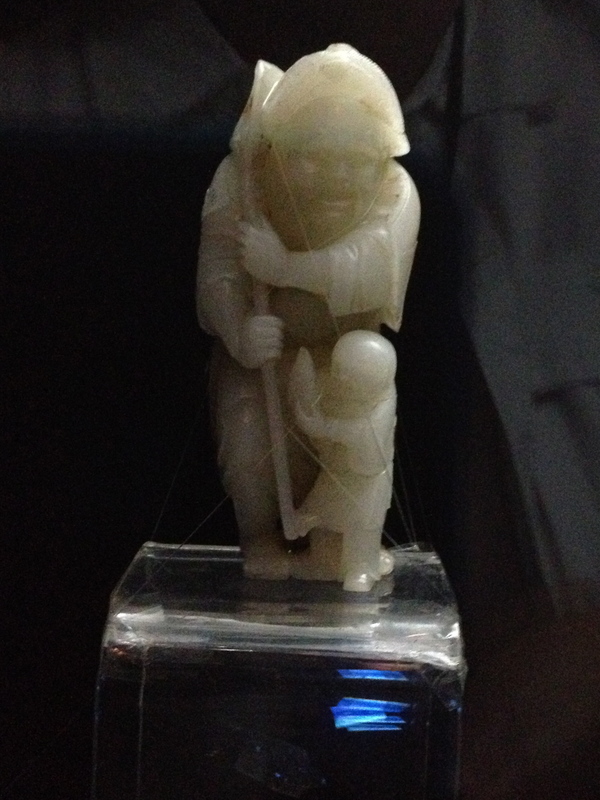 It survived the upheaval of 1959, when the Dalai Lama fled to India and Chinese troops fired on the palace. It also survived the Cultural Revolution in 1966, in part because it was being used for government offices and in part through the intervention of the premier, Zhou Enlai. Even so, more than 100,000 documents and other artifacts were destroyed or removed. 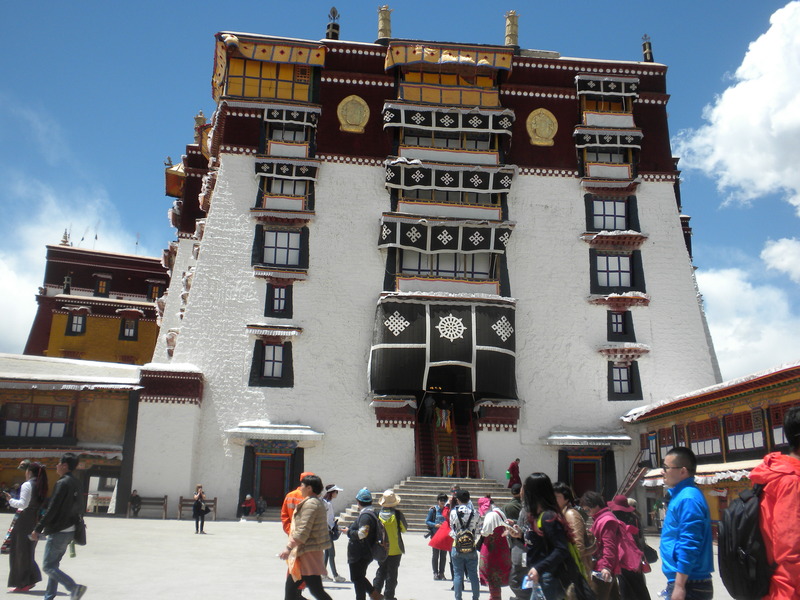 The Potala still has a lot offer, including several tombs of past Dalai Lamas. Many of the tombs and other shrines had offerings in many currencies lying on the floor. I was wondering if they just swept up the money when a monk came in and began straightening up one of the shrines. And in fact, he brought out a broom and dustpan and swept up the money. I was also interested that several of the monks who were watching over the tombs were also busy on their smartphones. Photographs were not allowed inside the palace, but the views from the top were quite spectacular. Another view from the roof. The hill with the radio tower was the site of Tibet’s medical school, which was destroyed during the Cultural Revolution. Tomorrow we leave Tibet. 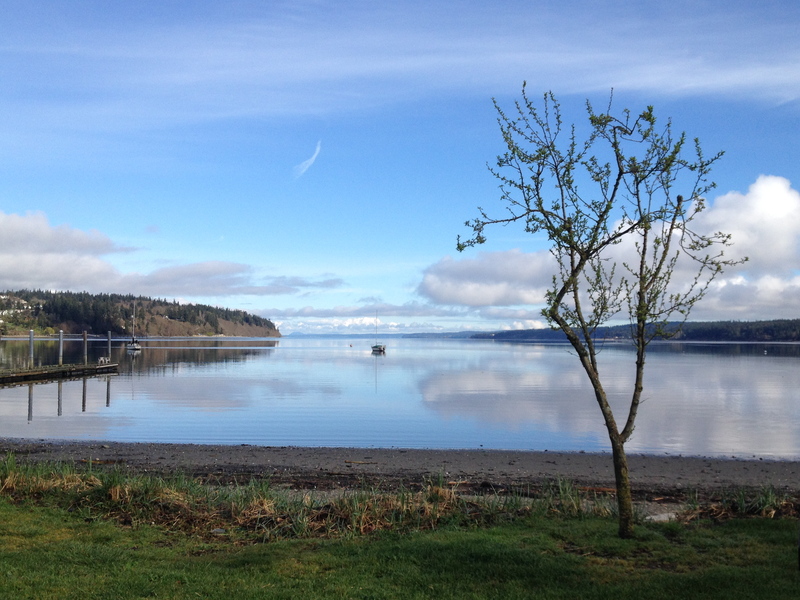 We were glad to see it while it retains much of its character. We came away with the sense that that is about to change. 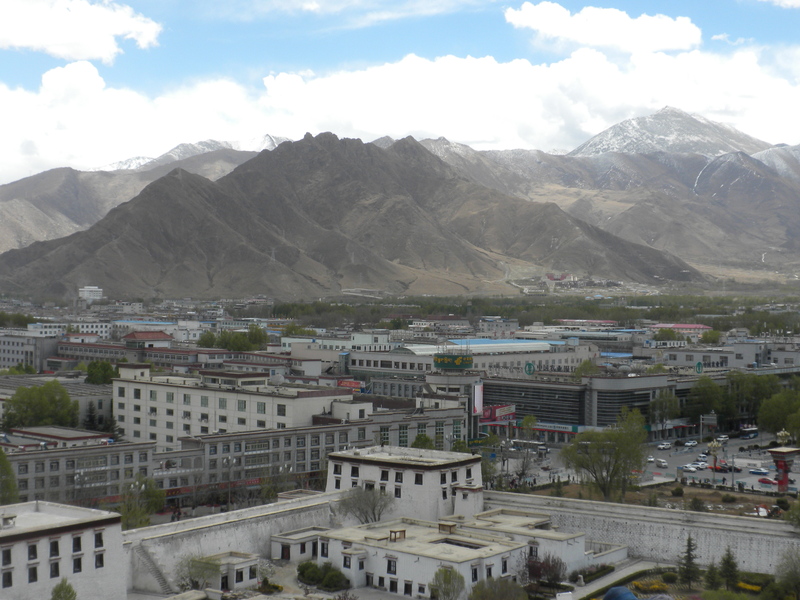 It was apparent from the high-rise condos we saw under construction on the outskirts of Lhasa, from the Chinese flags that were everywhere, and from the military and police presence that we have mentioned before. Tibet is an “autonomous region” in the Chinese system, which means that it supposedly has independent control of local matters. But it is clear, as in the matter of the buses, that the shots are called from Beijing. 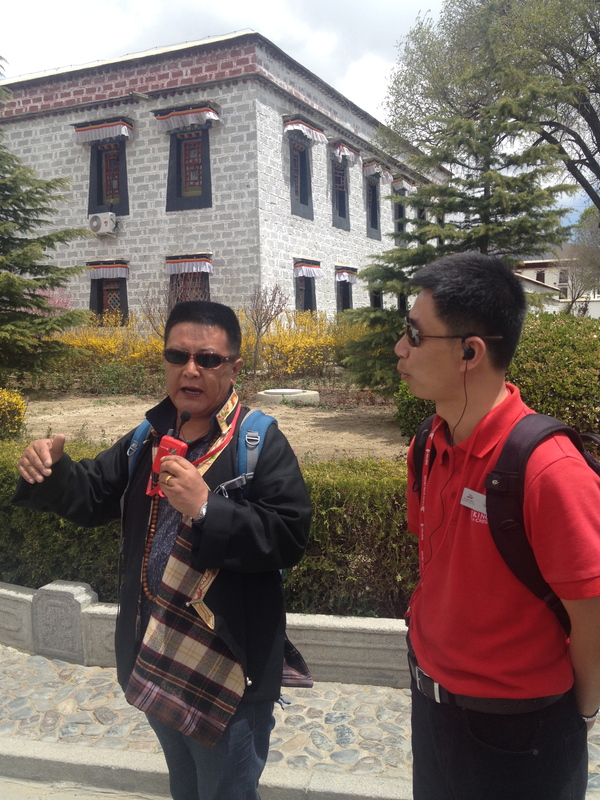 And even more than the political or military control, the Tibetans will have trouble resisting the cultural imperialism of thousands of Chinese moving in. It seems likely that the Tibetans could end up as a minority in their own country, not unlike the America Indians. That will be very sad.